Here you will be able to browse some designs, find the show schedule or contact for more information. �From time to time new information will be woven onto the website, so please check back. Other pages have information about the artists, methods and materials, fine arts show schedules, information about sales or commissions. 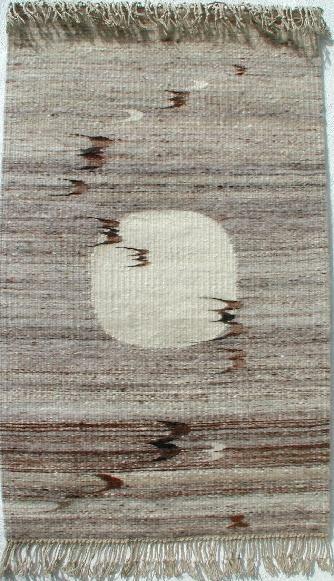 �More examples of these one of a kind weavings can be viewed through email or mail to interested clients. Art is a learning experience for the artist as well as the viewer. �Each piece is the product of a meditative experience. �Once it includes someone else, it becomes art. �This connection, a captured energy between artist and viewer, then becomes universal. Romiti Art also does custom work and commissions and will work with clients and/or their interior designers .